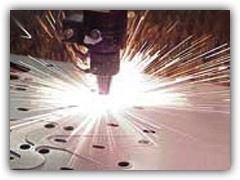 Aside from standard perforating and CNC Turret Punching capabilities, Remaly Manufacturing offers state-of-the-art High Definition Plasma Cutting services for sheet metal projects. We can plasma cut through metal plates up to 1" thick. We offer auxiliary services for our plasma cut metal parts which include powder coating, anodizing, painting, cleaning and degreasing. We take pride in our craftsmanship and always strive to deliver the best quality product as fast as possible. 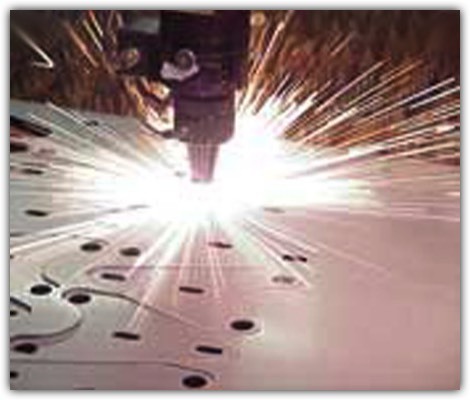 Please let us know how we can help you with your next High Definition Plasma Cutting project. Our HD CNC Plasma Cutter can accommodate any high tolerance cutting application to meet the most stringent requirements. Our facility also houses Perforating Presses, CNC Turret Punches, Brakes, Bolt Hole Punches, Parts Leveler, Roll Formers, MIG, TIG, STICK Welding Equipment and Shears. We can accommodate most material types and sheets that range in size from thin gauge through 1" metal plate. First article inspection and in-house quality control. We will not be satisfied until you are. Remaly Manufacturing has been satisfying customers since 1865.